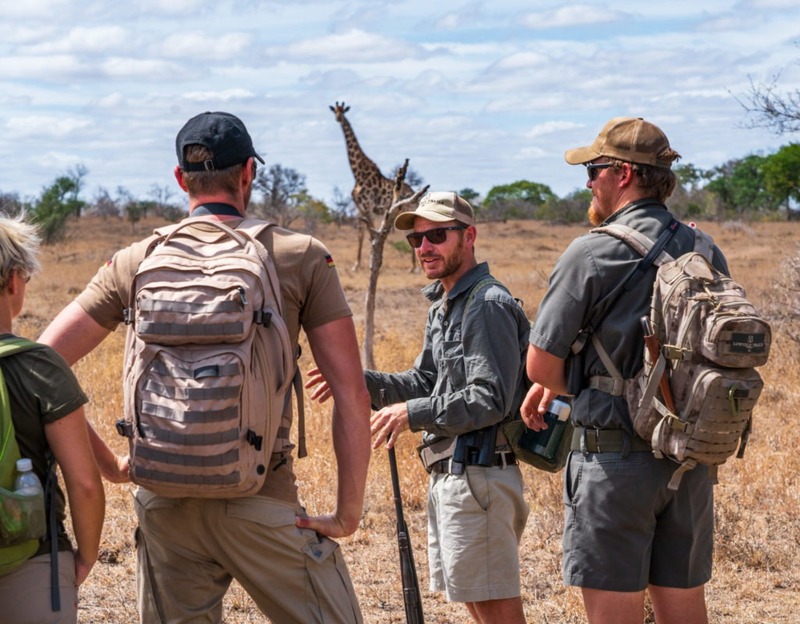 A four-day walking safari experience with these industry legends is at the top of our list of seriously unforgettable adventures. Their skill level and experience in safely approaching and encountering the BIG 5 on foot is indescribable. 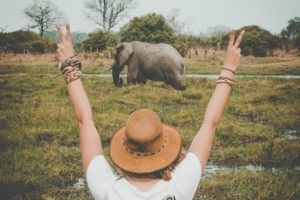 They are the best for a reason! 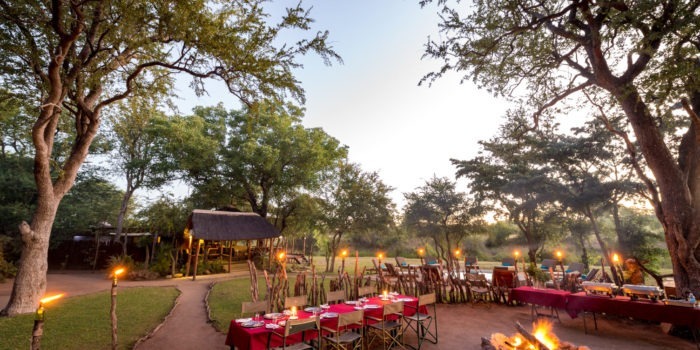 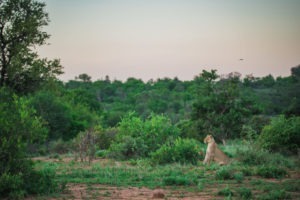 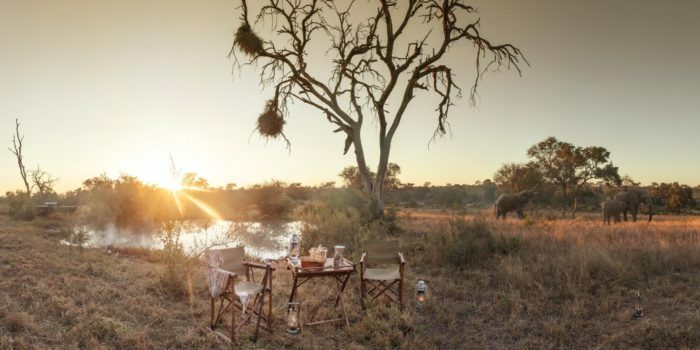 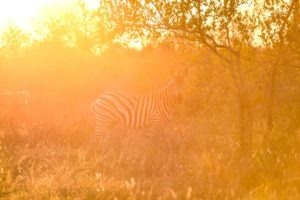 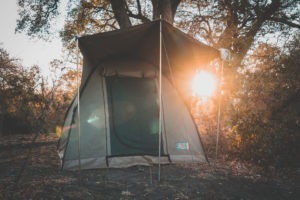 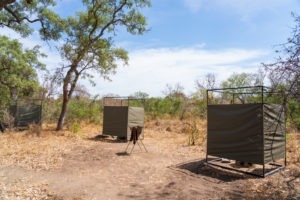 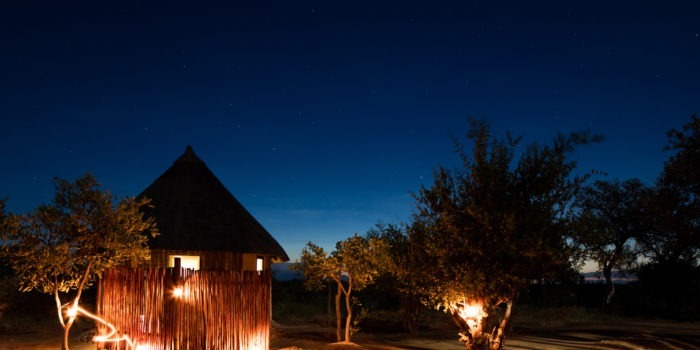 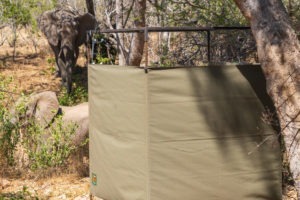 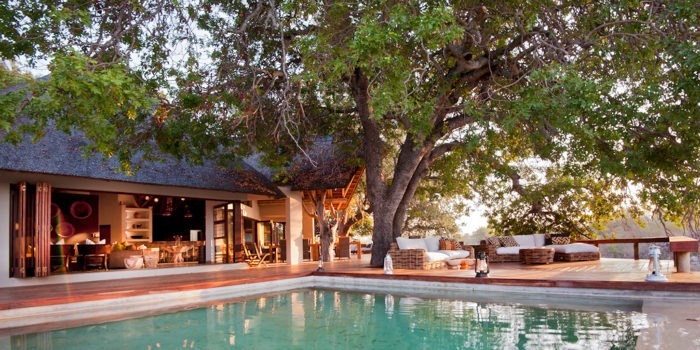 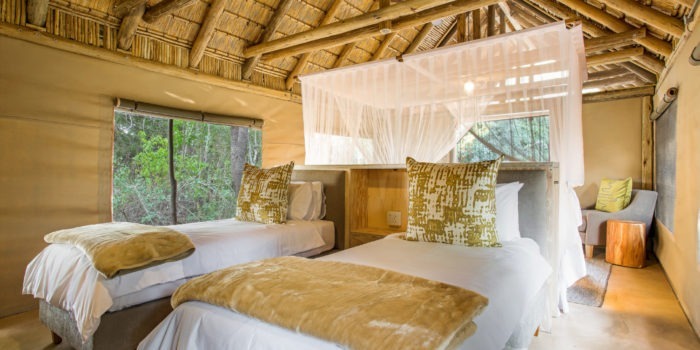 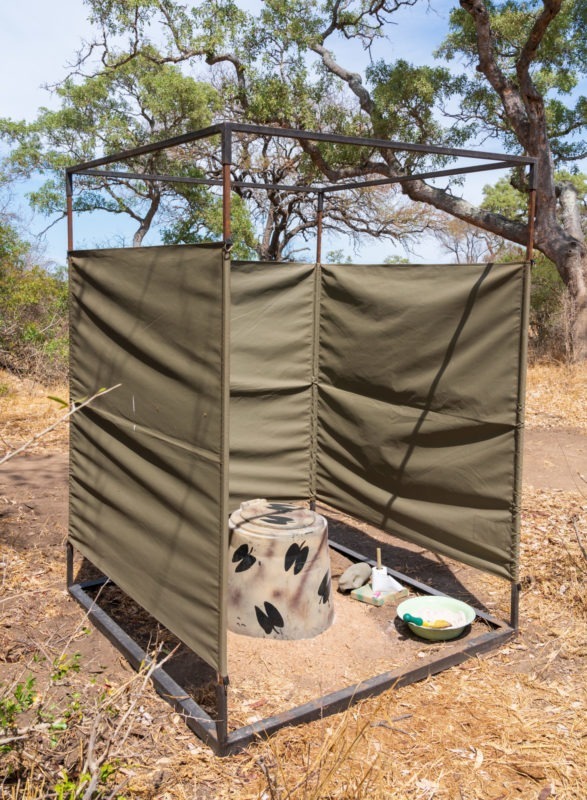 The mobile camp is located on a secluded private property within the Timbavati Private Nature Reserve. 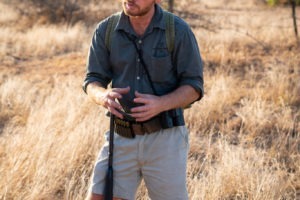 An area with few (if any) vehicles around and less roads with more wilderness, makes walking safaris an absolute dream. 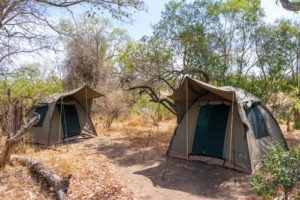 The camp is erected prior to each safari and is simple, as it should be for such a visceral experience. Dome tents sleep two trialists each with small comfortable mattresses placed on the tent bottom. 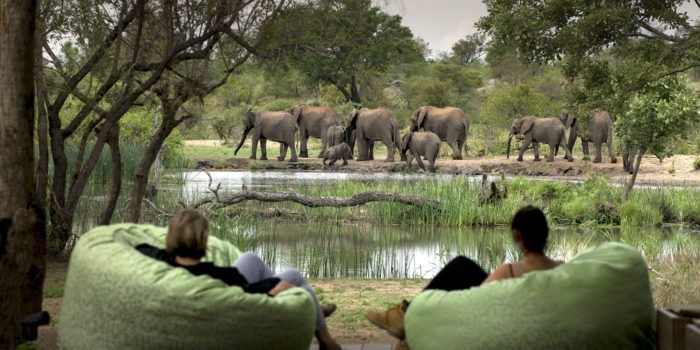 Pillows are supplied however, a sleeping bag is required to be brought along for bedding. 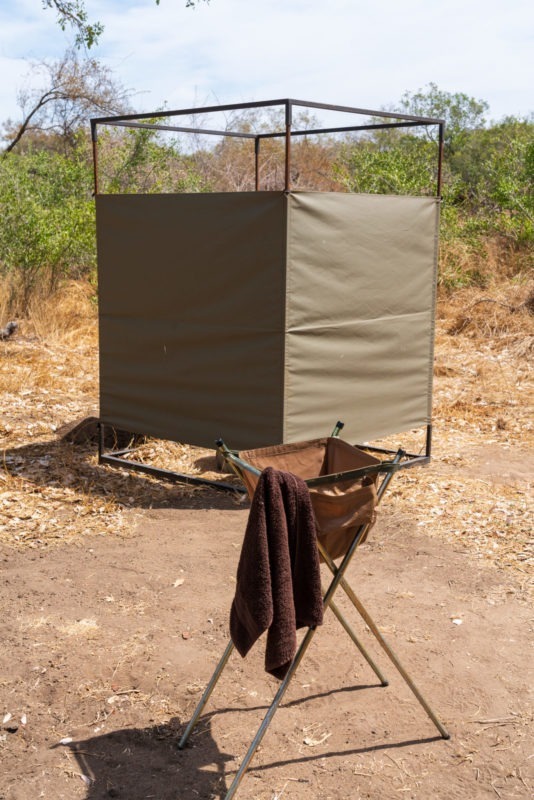 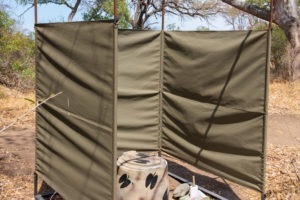 There are two separate shower tents and two separate toilet tents, all with an open bush-facing front. The toilets are pitfall toilets where toilet paper is burnt for low environmental impact. 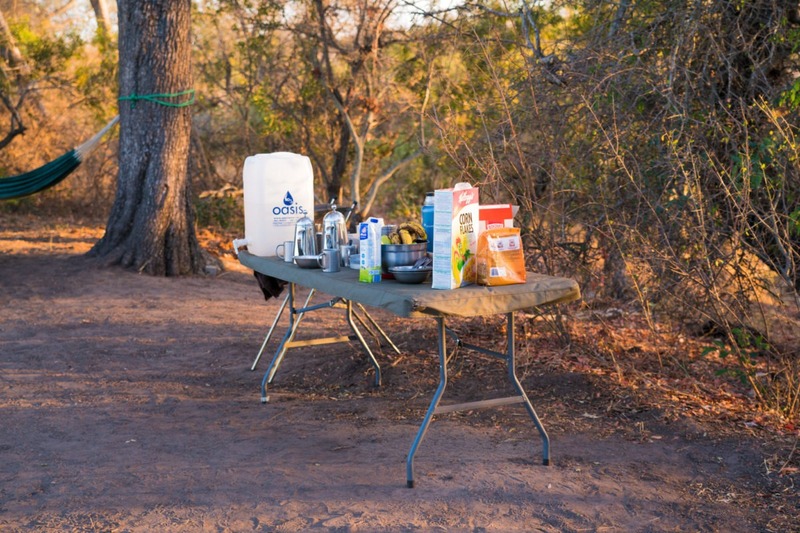 Hearty and healthy meals are prepared by a chef and served at the under-canvas dining table. 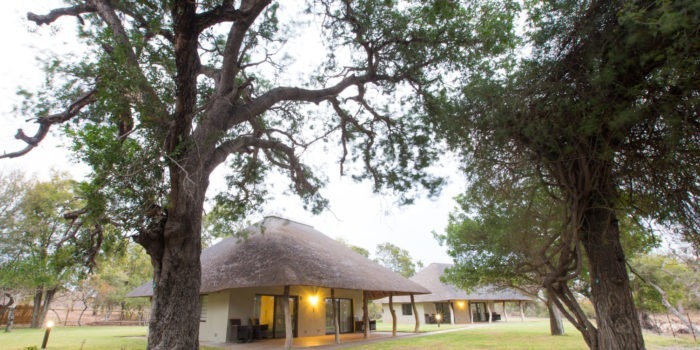 The fireplace and communal area is under the shade of large Jackalberry trees on the edge of a dry riverbed. 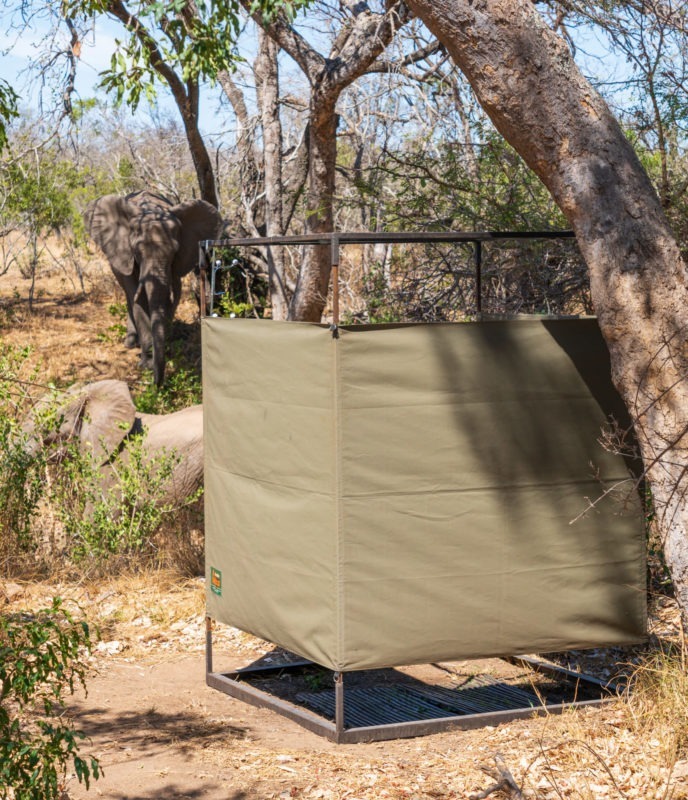 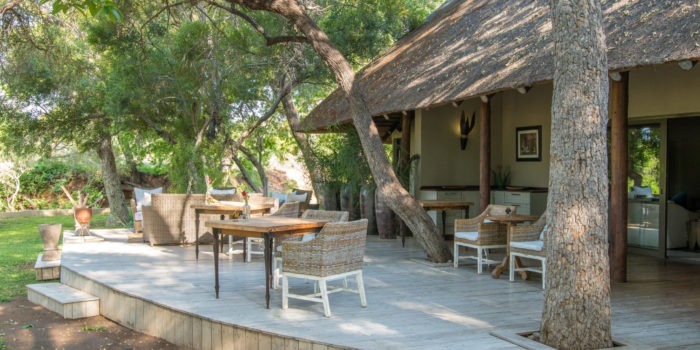 The lovely shade provides relief from the hotter days, but it must be remembered that we are the guests here – as the resident elephants are also frequent to the same shade. 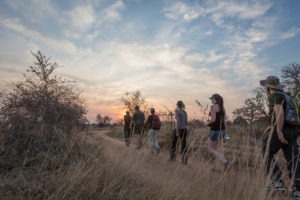 The activities are the focus of the experience, which are solely based around walking safaris. 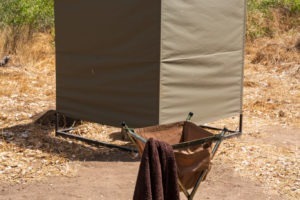 There is a vehicle available which is used to access new walking areas further from the camp. 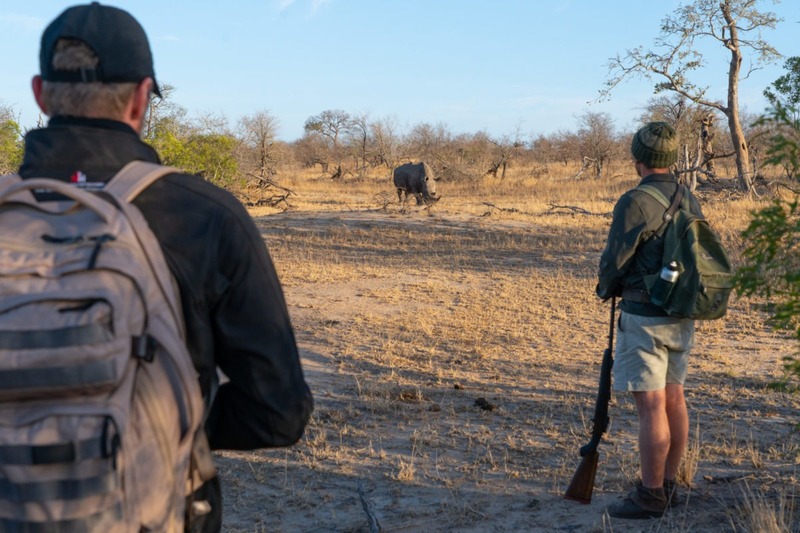 The area is true BIG 5 country with fairly reliable rhino and elephant encounters, making for a great match with area’s where rhino sightings are not possible. 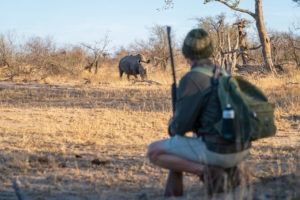 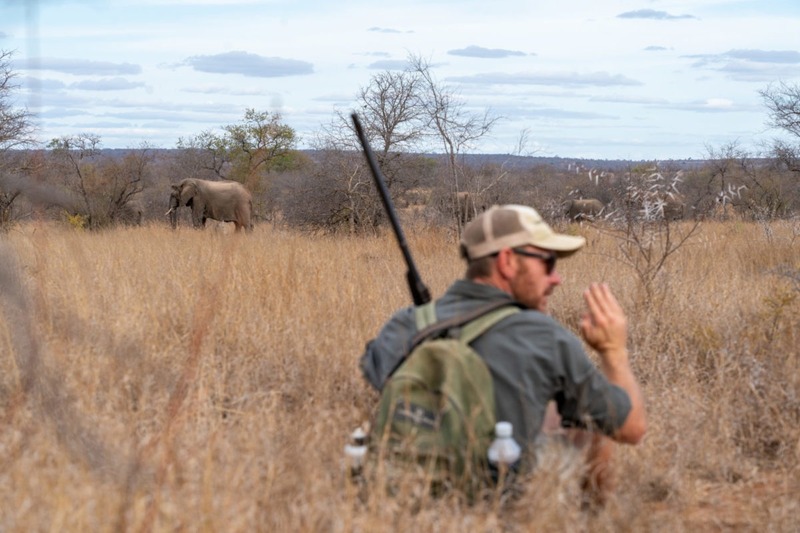 The team are not only experts on the BIG 5 but, they are also naturalists who can find and bring to life even the smallest aspects of the bush whilst on foot. 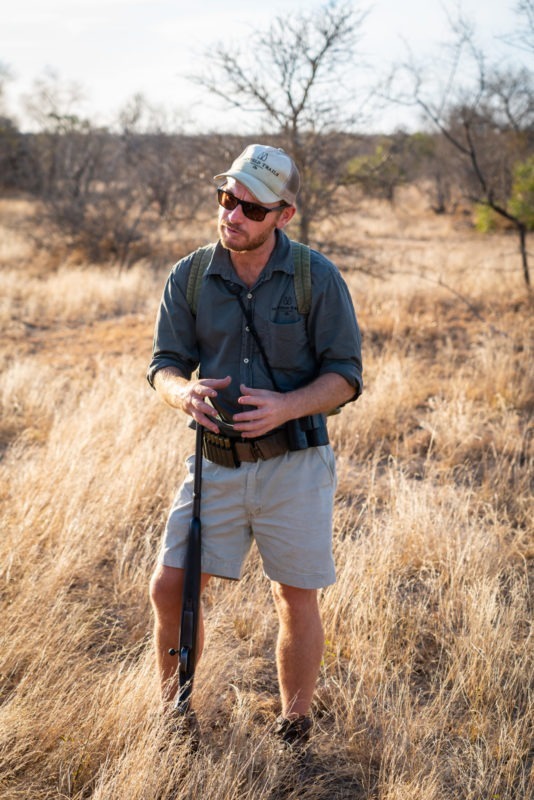 They are particularly skilled in the identification of tracks & sign which becomes a real learning experience. 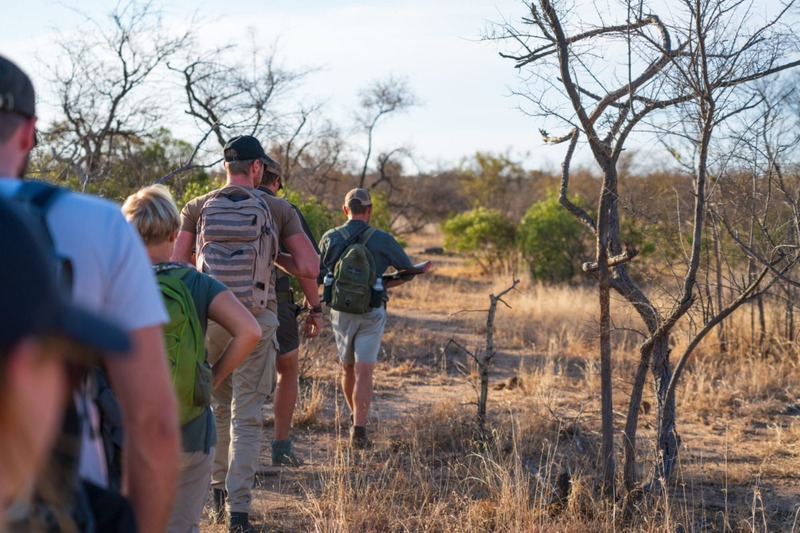 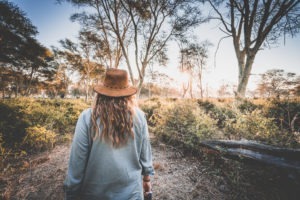 The learning is encouraged and motivated, as they are also the leading Trails Guide instructors in the area, elevating their knowledge to a whole new level. 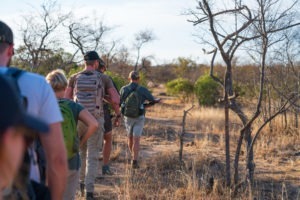 The guys from Lowveld Trails Co (Wayne, Brenden and Bruce) are friends and trails mentors for Gesa and Frank, so naturally this is one of their most highly recommended safari experiences, particularly in South Africa. 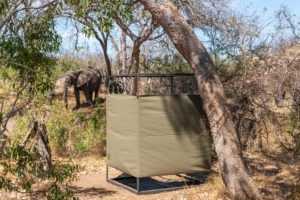 We recommend this experience towards the end of your safari, especially if you are a first timer to the bush as it is very immersive and raw. 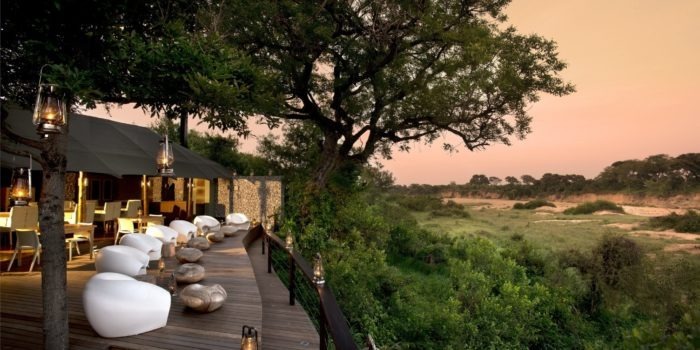 And we wouldn’t have it any other way! 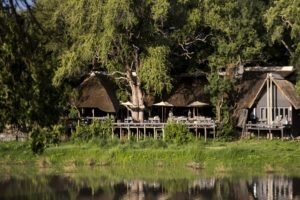 Owner run and operated business by legends. 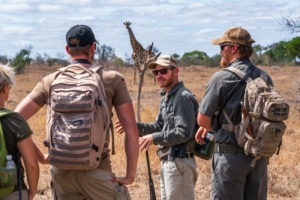 Industry leading trails guides with thousands of hours of experience. Serious walking safaris focused on tracking BIG 5. 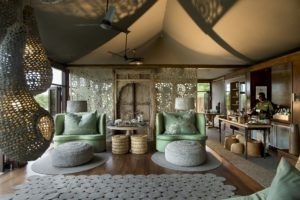 Basic tented camp experience is unmatched.